Among all available YouTube downloaders for Mac (Mojave/Sierra/El Capitan/Yosemite/Mavericks), some are rubbish, others are acceptable and a few are marvelous. The objective of this article is to dig out top free YouTube downloaders for Mac. We'll provide our insight on their pros and cons to help you make a right choice. Detailed tutorial on how to rip YouTube videos on Mac OS (Mojave included) is also enclosed to guide you to download YouTube music videos, Ultra HD movies, TV shows, funny video clips, sports videos etc. How to Save YouTube Videos on Mac? You need 5KPlayer to capture YouTube videos on Mac. Ranking the fastest free YouTube downloader for Mac OS (Mojave, Sierra, El Capitan, Yosemite, Mavericks), it enables you to download YouTube music videos, 4K movies, TV shows, etc. in batch effortlessly. As a professional YouTube downloader for Mac, 5KPlayer is a newbie and a freebie. Free, fast, feature-rich, clean! That's why this top free YouTube downloader for Mac is highly appreciated. It is compatible with both Windows (10) and Mac OS (Mojave). It allows downloading YouTube videos and music in batch without any hassle. Known for the fastest free YouTube downloader for Mac (Mojave/Sierra/El Capitan/Yosemite/Mavericks), it is able to caputre YouTube videos and music within a few seconds. For example, you can download Sam Smith hit music videos, infectious single love me like you do, 50 Shades of Grey soundtracks full album, 1080p movies and many more from YouTube regardless of video formats such as MP4, AVI, FLV, MOV, WMV, 3GP etc. Meantime, with built-in library, it helps you manage downloaded YouTube videos on Mac. 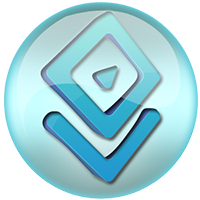 Freemake Video Downloader is a free YouTube video savor that allows you to download videos in MP4, FLV, WebM, 3GP from popular websites, YouTube, Vimeo, Dailymotion, Facebook, Vimeo, Metacafe. But only Windows version is available. And you will get frustrated with its limited video formats and sites being supported. Check 5 Stunning Freemake Video Downloader Alternatives. Keepvid.com is a common website to save YouTube videos on Mac. It supports downloading videos from more than 50 sites, including YouTube, Facebook, Dailymotion, Vimeo, etc. Ease of use is its big highlight. 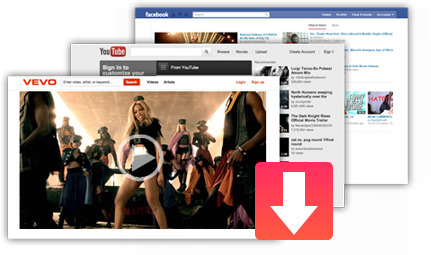 To free download YouTube videos on Mac, just open YouTube videos, copy and paste video URL. It is important to note that Java is required. Questions like "is Keepvid legal", "is Keepvid safe", "Does Keepvid bring virus" are frequently asked online. Keep in mind that Keepvid is legal and safe, but you should keep your eyes open for you may be attacked by virus, and pop up ads may lead you to download pesky adware, spyware, malware, etc. How to Download Videos with Top Free YouTube Downloader for Mac? Step 1: Download and run this free YouTube video downloader for Mac. Click "YouTube" button. Note that it is 100% clean, no virus, no adware, no spyware, no spam. Step 2: Copy and past the video URL on YouTube to the box frame correctly. There's no formats or resolution limits. Step 3: Click "Download" button to download YouTube videos now. You are allowed to directly download YouTube playlist as well. You can also follow the guide to download videos from Dailymotion, Metacafe, Facebook, Vimeo, etc. Note: The smashing top free YouTube downloader for Mac (Mojave/High Sierra/El Capitan/Yosemite/Mavericks) also downloads videos from Facebook, Vimeo, Vevo, Dailymotion, Metacafe, Break and other 300 sites. You can also use it to convert YouTube videos to MP3/AAC video formats or airplay videos from Mac to TV if you want to watch YouTube videos on TV screen. Besides, it works as a first-rate free video audio music player that plays any audio and video. Get the best free YouTube Downloader for macOS Sierra to download YouTube videos movies on macOS Sierra/OS X. This article introduces a free video downloader for Mac users to free download videos in MP4, FLV, 720p, 1080p, etc.